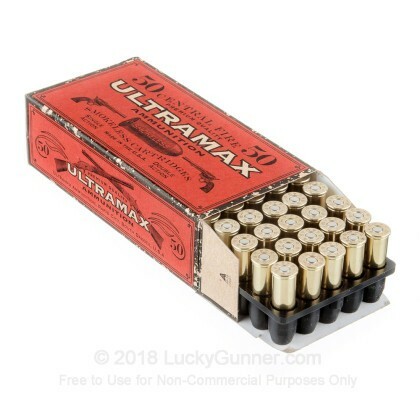 Ultramax ammunition is a great option to get your 44 Mag firearms shooting at the range. 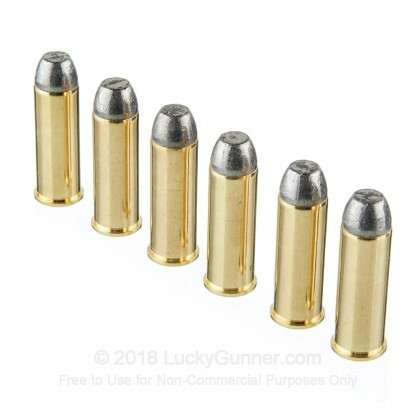 These new production rounds are loaded into re-loadable boxer primed brass cases that feature 240 grain lead flat nose projectiles. 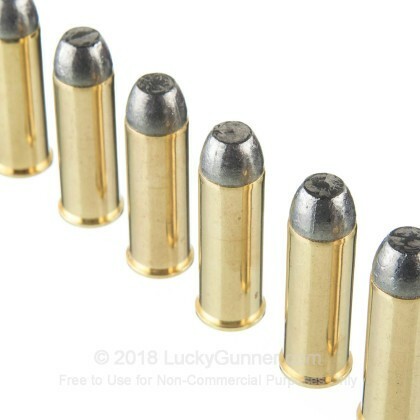 Ultramax loads these rounds to light pressures and you can expect to see muzzle velocities around 710 feet per second. 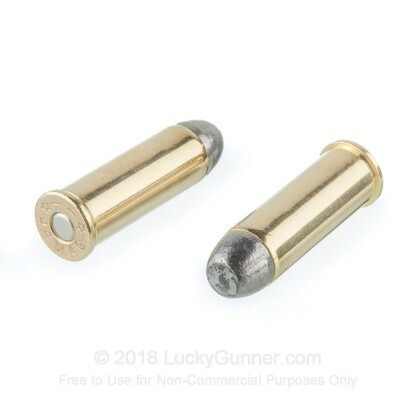 These 44 Mag rounds come packaged in vintage inspired boxes for cowboy shooting and are loaded with smokeless powder and bare lead projectiles. Ultramax has been producing ammunition since 1986. Their goal is to produce a top quality product at a fair market value. They have a 10 step quality assurance system to help ensure that you get the highest quality and most consistent rounds possible. Aside from cowboy action ammo, Ultrmax also produces high quality hunting ammunition as well as factory reloads. Their products are proudly made in America at their Rapid City, South Dakota headquarters. Pick up a couple boxes of this high quality 44 Mag ammunition and get out to the range soon! 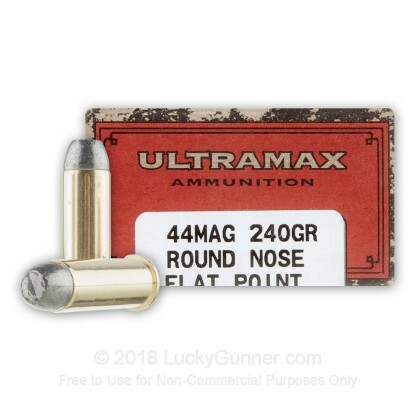 We don't have any reviews yet for this particular .44 Magnum ammo from Ultramax. 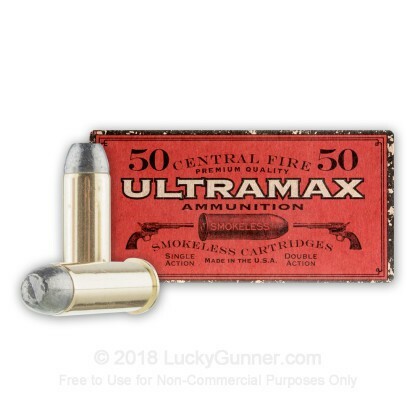 If you'd like to be the first to review this particular .44 Magnum ammo from Ultramax, fill out the form below.